The nylon shell is lightweight and durable. Integrated liner with mesh construction and inForm Solstice chamois. 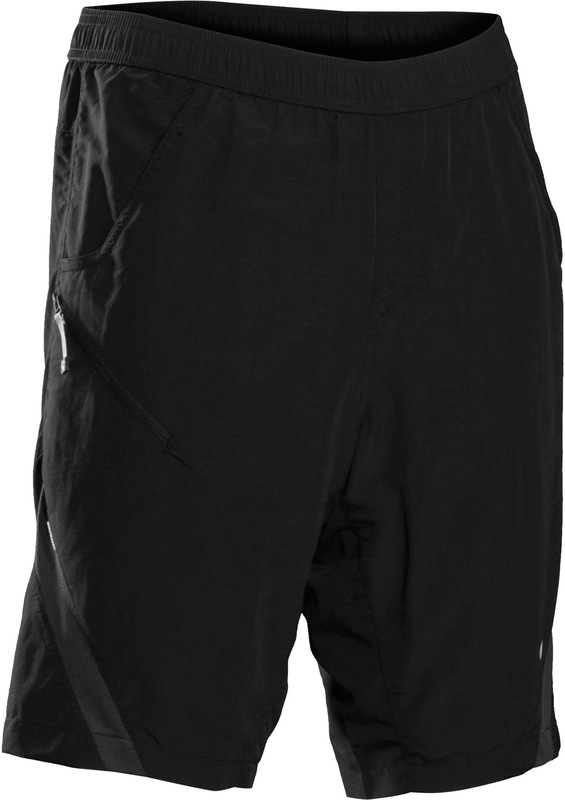 A drawstring waist ensures a secure fit. Two hand pockets, one zip-up thigh pocket. 28cm (11") inside leg. A non-restrictive loose fit allows for freedom of movement and casual style.